From one angle, the country music narrative in 2018 was distinguished by consistency. Bebe Rexha and Florida Georgia Line’s easygoing soul-twang confection “Meant To Be” spent a staggering, record-setting 50 weeks atop the Hot Country Songs chart, while the vast majority of award winners and chart-toppers are all familiar household names. But dig a little deeper and it becomes clearer that the country-music landscape is less monolithic than it’s ever been. 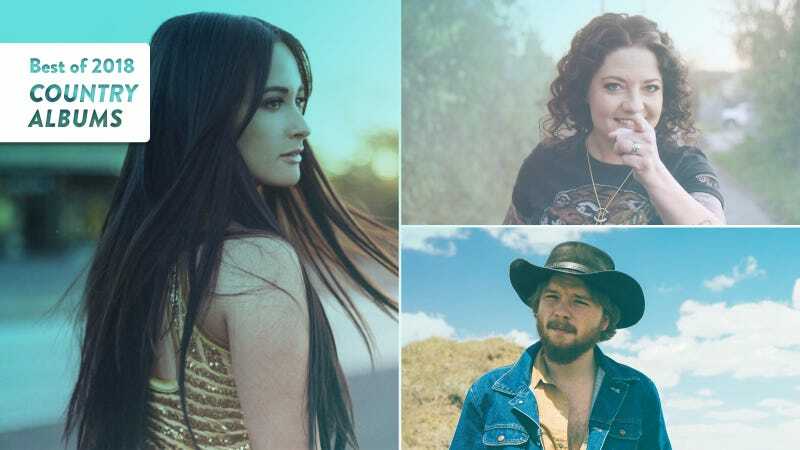 Women once again stretched the genre’s boundaries and wrote indelible songs—even if things such as festival lineups, the albums charts, and radio spins once again didn’t reflect these creative leaps—while newcomers such as Kane Brown and Ashley McBryde provided refreshing spins on mainstream country. If anything, it’s most precise to say that country music is a big tent under which Americana, roots, indie-folk, alt-country (and all variations in between) now comfortably coexist, as reflected in the 10 albums below. Listen to songs from these albums and our other top picks from 2018 on Spotify.